The very best customer service I have ever seen in a HVAC company. Nothing but the best personnell and Damon and. Hris are top of their game. Professional and caring, courteous and just experts in every aspect. My service Pro (Francis R) was nothing short of a God-send! It was a pleasure working with him to get the job done right and with efficiency. He not only used 5-star professionalism, but also taught me some important facets about my HVAC unit. 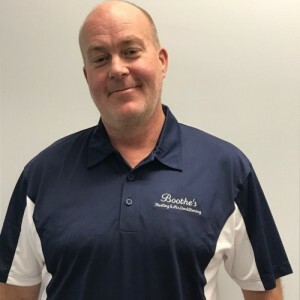 From beginning to end service, I highly recommend Boothe's Heating & Air Conditioning! Ben was a excellent technician and representative for your company, Ben was very knowledgeable and informative and a delight to work with. He knows how to work well with customers and a wonderful job of keeping them involved during the whole process. A job well done. Wish there were more like him. Needed a plumber this week & was so happy to be able to call Boothe's for this service. Have used them for years for our heating & a/c needs and love everything about the company! The service this week from Chadd & Mike was exceptional as usual with Boothe's. Completely professional - gave recommendations & explained how the pump for our well worked so I understood what the issue / resolution was. Every interaction with the company is positive - from calling to schedule, the service technicians, plumbers & the follow up call to check after the appointment . Can't say enough good things about the company! I was so pleased with Boothe Plumbing from the scheduling of the appointment to the service we received. Two gentlemen came out and were very courteous and professional. I was very comfortable having them in my home. They went over everything thoroughly and did not give me a sales pitch. Great work ethic with everyone I dealt with! Would highly recommend! Within an hour, Connor had Francis at our door to troubleshoot our heat pump that was not cooling the house. Explained the problem and provided us portable window units to cool down the house until a fix could be provided! Well done! 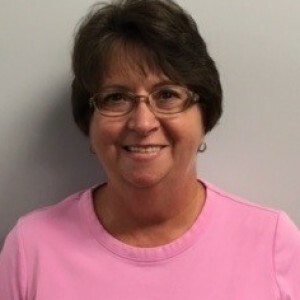 I called Boothe's because of a damaged faucet that had become cracked from the previous winter's low temperatures.They called ahead to let me know when they would be at my home. Was very impressed with their technician,Chadd he explained to me what had happened and gave me an estimate of the cost involved. He was very prompt on fixing the problem,also very polite. I would surely call on Boothes again for any future plumbing issues i might have, Thanks! Garrett arrived on time. He worked diligently to ensure both cooling systems were cleaned and running efficiently. He offered suggestions, which I took, on doing some “deep cleaning” in order to maximize the life time of the cooling systems. He thoroughly explained every process he was completing. I am very pleased with the experience I had in working with Garret today. I would highly recommend Boothe’s Heating and Air to my friends and family. I would have given 10 stars if that was an option. Very prompt, courteous and professional! Appreciated the advance call confirming he was on his way and arrived on time. Happy to continue doing business with this great group of people! Francis was great! He did a very thorough and caring job. And provided great suggestions. Excellent service with very knowledgeable technician. 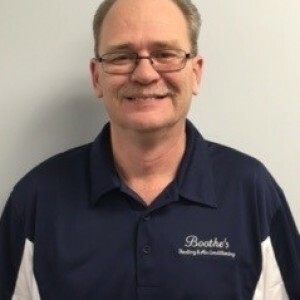 Francis R. was extremely professional and friendly, as was the rest of the Boothe team that helped fix our A/C. Fast response and very nice to work with. Can’t say enough good things about our experience. As usual, the service we received was outstanding. We always request Francis because he is knowledgeable, professional as well as personable! He makes sure we understand what he has done and what issues we may face in the future with our system. He is great and the service from the company is always outstanding.